Welcome to Lough Dan House. The perfect B&B Accommodation for your Walking or Fishing Holiday in Wicklow. 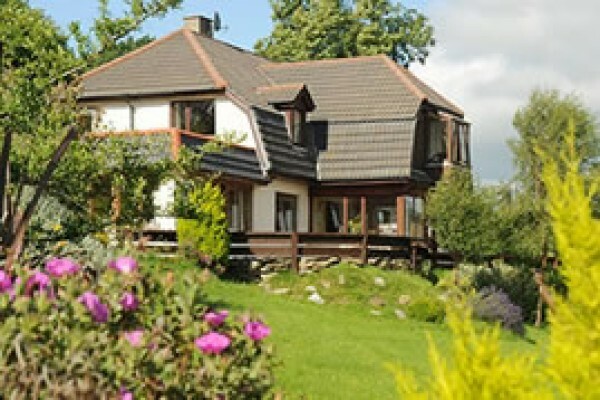 Lough Dan House is an award-winning Bed & Breakfast, situated over 1000 feet up in the Wicklow Mountains on an eighty-acre hill farm, overlooking Lough Dan, the largest natural lake on the east coast of Ireland. 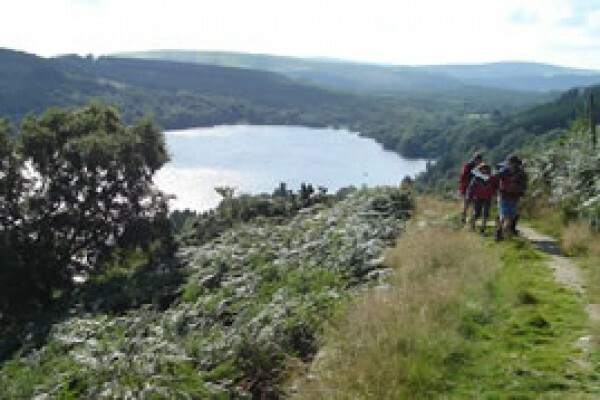 Beside The Wicklow Way, it is the perfect location for a Walking Holiday, whether for a short one or two day break, or for a much longer Holiday. Nestled in the Wicklow Mountains, the Lough Dan House is the perfect home base for hiking, relaxing or exploring the historical treasures of this area. Upon our arrival, we were pleasantly greeted by Sean and Teresa. We found the surroundings to be peaceful and beautiful, complete with a double rainbow complements of Mother Nature. The interior of the entire home (from top to bottom) was just lovely: neat, clean and very comfortable. Our bedroom was spacious complete with a tea set for complimentary tea. In the room that she shared with our children, my mother fell in love with the bay window that looked over the farm fields and mountains. Every morning we were served a most delicious breakfast in their lovely dining room. Our daughter fell in love with Teresa’s porridge. 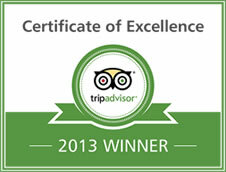 Owners Sean and Teresa were so helpful and accommodating that they made us feel like family. For fantastic accommodations, hospitality, meals and scenery, you just can’t beat the Lough Dan House. This family of 4 (5 with grandmom in tow) would love to return to Ireland again one day and would definitely stay there again. It is truly the pot of gold at the end of the rainbow! Are you a Vikings fan? Lough Dan House is situated only a short distance from where this very popular series was shot. Walk with The Vikings – tread the very paths and mountain trails where Ragnar Lothbrok and his cohorts were filmed. Fully organised Walking Holidays are catered for which covers everything you could possibly need for a most pleasant and refreshing break. This includes all transport, accommodation, delicious home cooking, serving all locally produced meats and vegetables from the farm, game from the mountain and fish from the lakes and rivers. Four course evening meals with exciting choice of menu served with wine or other refreshments. Your host, Sean Byrne, will be your guide on all organised walks, which range from seven to twenty kilometres, depending on your level of fitness. During your holiday, you will witness spectacular scenery, listen to exciting stories about the area and people who once lived here and perhaps still live here, above all you will enjoy the experience and look forward to returning. County Wicklow offers wonderful opportunities for anglers of every level. Wild Brown Trout are plentiful in the rivers, streams and lakes that flow off the Wicklow Mountains. 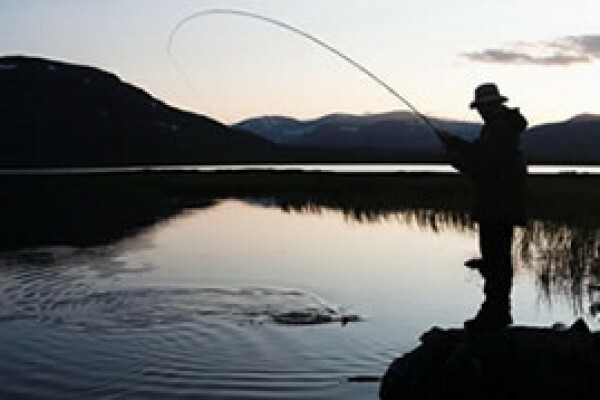 Lake fishing rates are based on two anglers sharing (maximum per boat). A substantial lunch to include hot and cold drinks will be provided along with life jackets and most flies. Fishing times are flexible to suit all needs. Rods and reels are available for hire; however clients must bring their own wet weather gear and boots.